Father's Day is just a few days away! Every year I struggle to come up with a fun handmade gift that a dad might actually use. 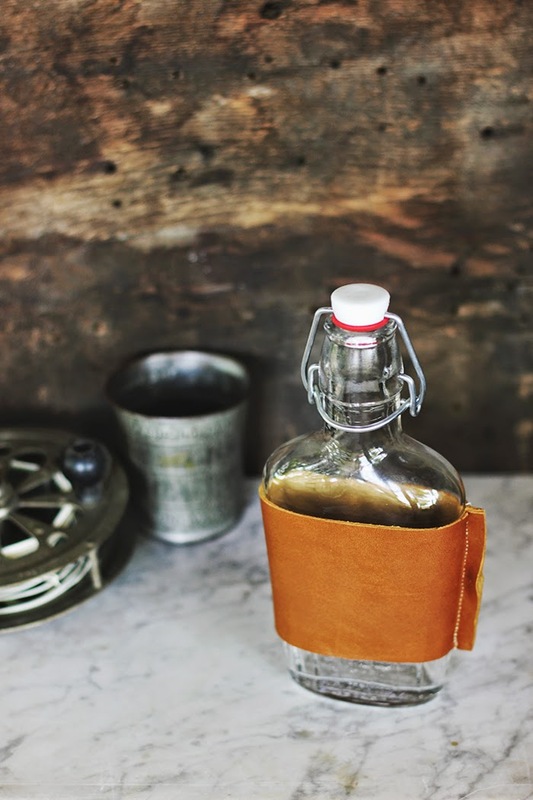 This leather DIY takes just a few minutes to make but add tons of character to a simple flask. Gift this with a bottle of his favorite spirit and Dad is sure to have a grand Father's Day! 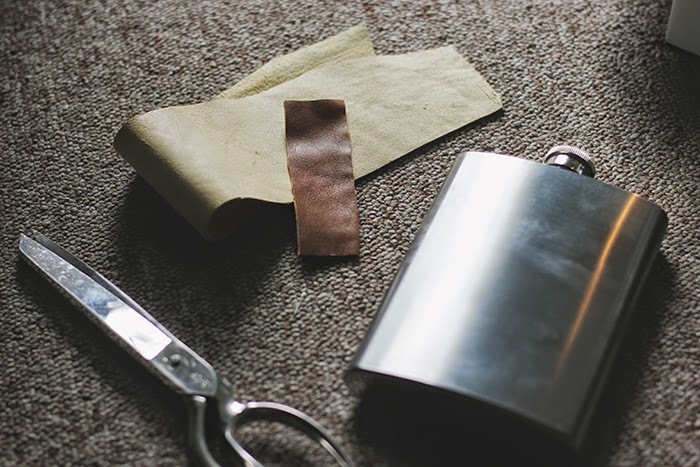 -Cut out a strip of leather long enough to go around your flask with at least 1" extra. 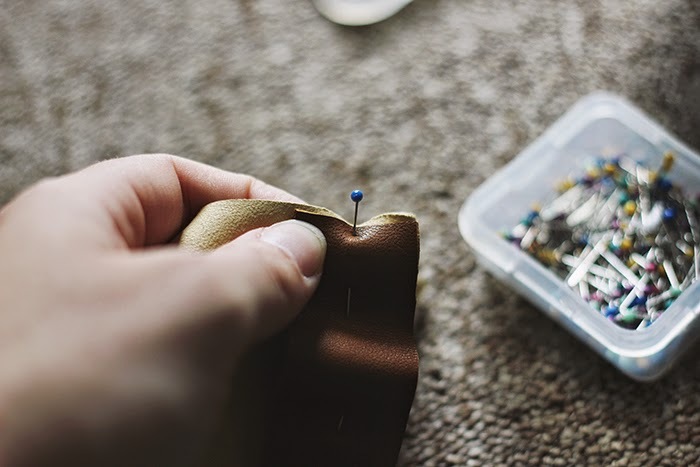 **-If you want to add a belt loop to the back, do that before sewing the sides together - but be sure to measure so that it will be at the center of the back of the flask. 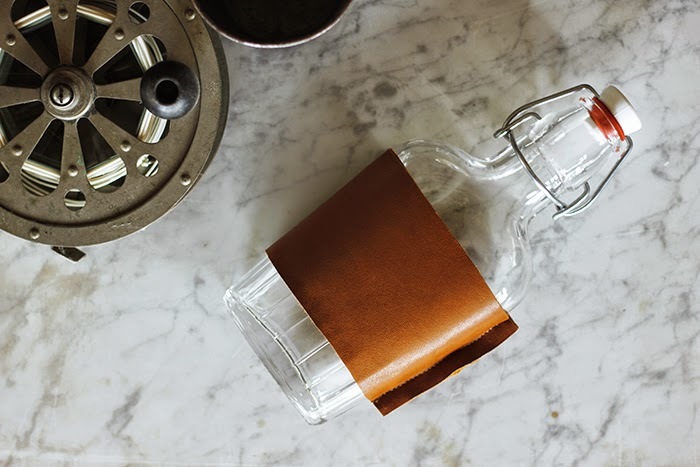 For this, you will need to cut out a small strip of leather that is a bit longer that the height of your leather going around the flask. Pin in place 1/8" in from the side and straight stitch across the leather on the top and bottom. -Use pins along the marks you made and straight stitch down the side. You can sew down one or both sides. 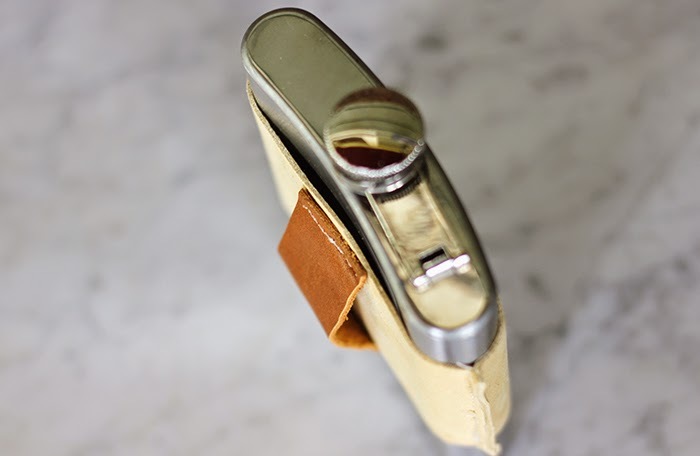 -Trim excess thread and carefully slide the cover over the flask. I love the one in the first picture that looks like a corset! 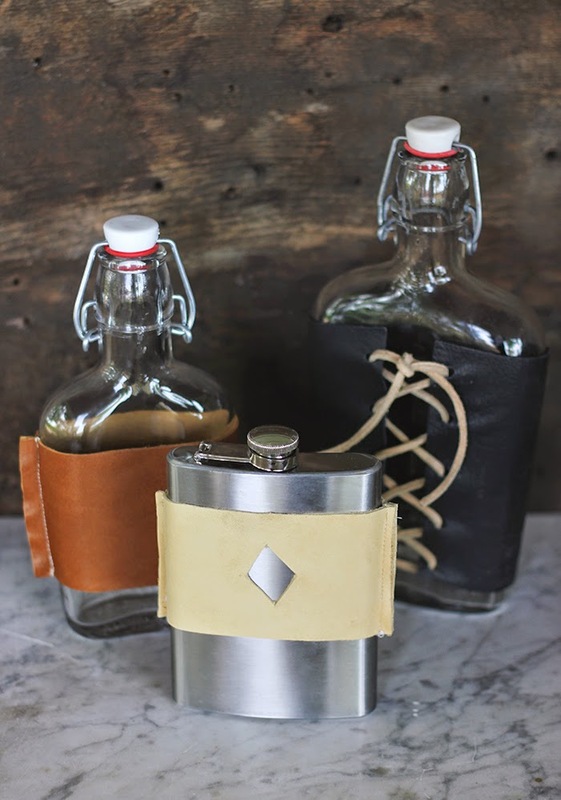 Great way to customize a flask.